Do you ever descend into an Instagram rabbit-hole and end up viewing pics of random subjects from far-flung places? I do and I love it. A true escape. It’s one of the things that makes Instagram so compelling. I recently went on an Instagram cheese-trail. Yes, cheese, delicious, nutritious(!) cheese. 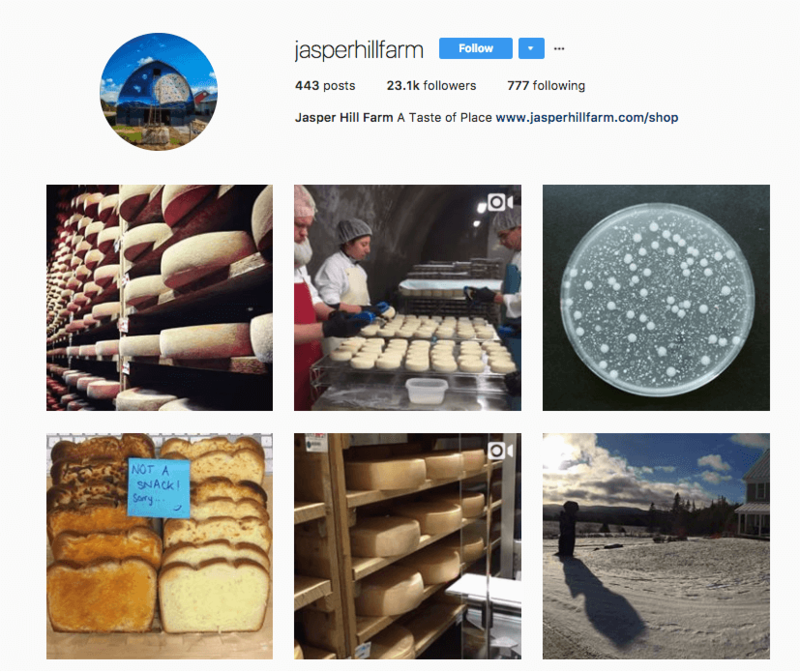 When I saw the account from Jasper Hill Farm, I didn’t just salivate, but I was impressed by their use of Instagram. Why’s it great? Yeah, there’s cheese, of course there’s cheese, but they show process, their people (super-important! ), cheese-science and the fact that they’re based in a ridiculously beautiful part of the world! This video is like heaven for a techy cheese lover! It’s cool, but as a man involved in social media marketing, I enjoy the fact that they’ve got nice levels of comments, a sweet view-count and they chat back to their fans. 1 – Up the number of hashtags (no more than 15) and start posting them in the first comment, that would most likely increase reach and potentially gather some further audience growth and interaction. 2 – Use Instagram Stories to give people some live-action behind-the-scenes erm, action. They may well do it from time-to-time, but I have not seen evidence. Stay tuned for more examples of superb Instagram use by businesses from all sorts of backgrounds.